Swedish driver Robin Larsson has won the FIA European Rallycross Championship (Euro RX) at the final round of the series at Franciacorta, Italy and has qualified for the semi-final stages of the World RX event this afternoon. Larsson entered the final round with a ten point lead over Norwegian Henning Solberg. The pair finished seventh and eighth at the Intermediate Classification to guarantee Larsson the crown in his maiden Supercar season. “It feels so great to be European champion. We’ve been struggling all weekend with engine problems so we didn’t have the power we wanted. 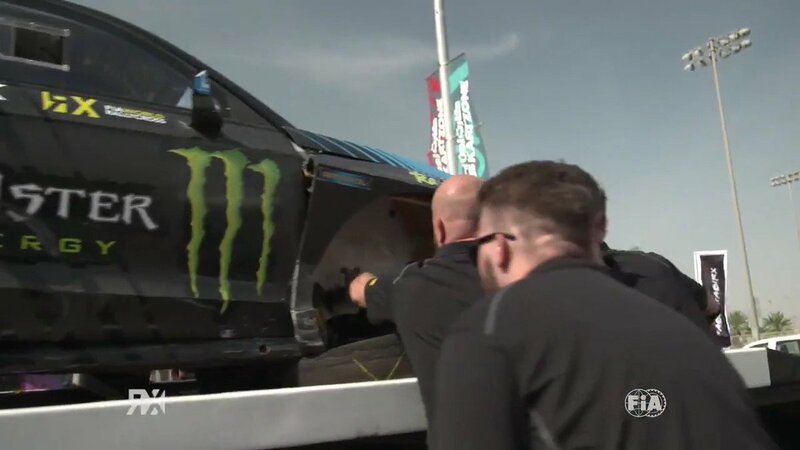 We have just been safe in all four heats and managed to finish them,” said Larsson, who follows in his father Lars’ footsteps by winning the title. Russian driver Sergej Zagumennov claimed the European Super1600 crown at the Intermediate Classification, while Swede Daniel Lundh sealed his name on the TouringCar championship.